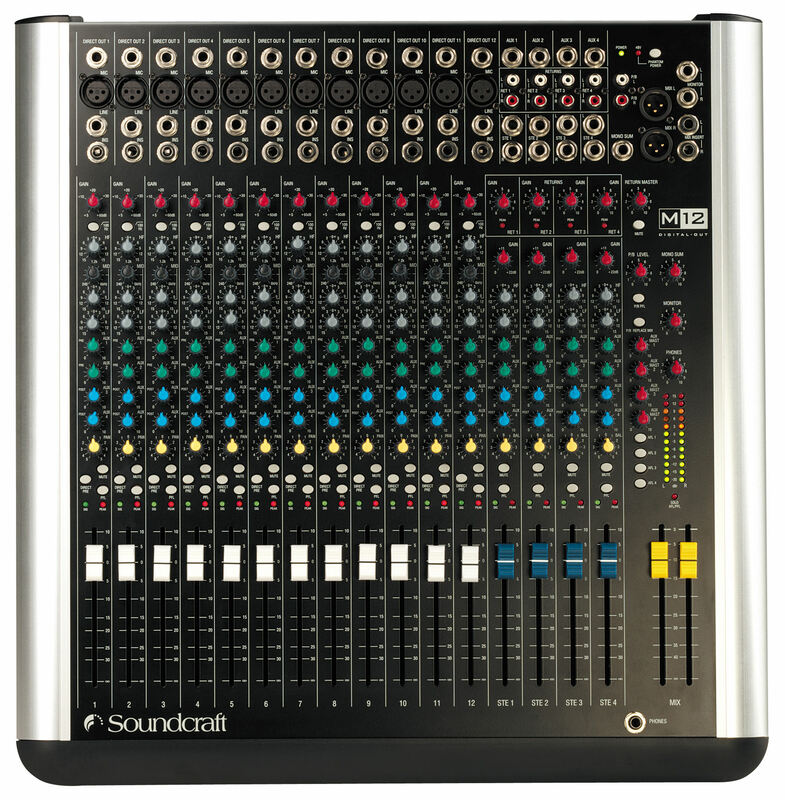 In a world full of cheap compact mixers, Soundcraft has achieved something exceptional with the Soundcraft M Series. 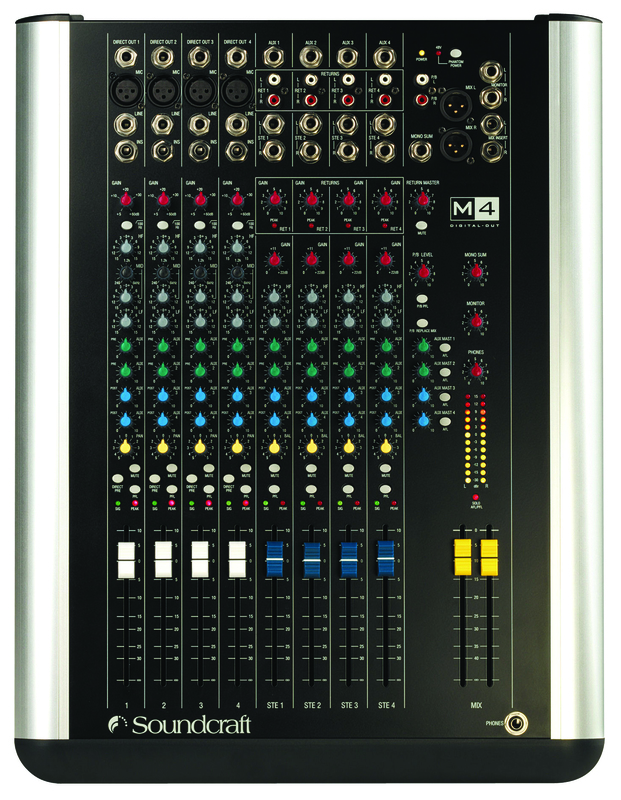 Equally suited to recording and live sound applications, the Soundcraft M Series delivers a great-sounding, reliable performance, session after session, mix after mix. A mixer for life. Even before you plug in a Soundcraft M Series mixer you know it’s something very special. The brushed steel side panels aren’t just beautiful, they can withstand a weight of 60kg (132 lbs) and are designed to leave the mixer with no sharp edges. Removing these panels is simple, revealing a robust, integral rack mounting system equipping the M Series instantly for a life on the road. 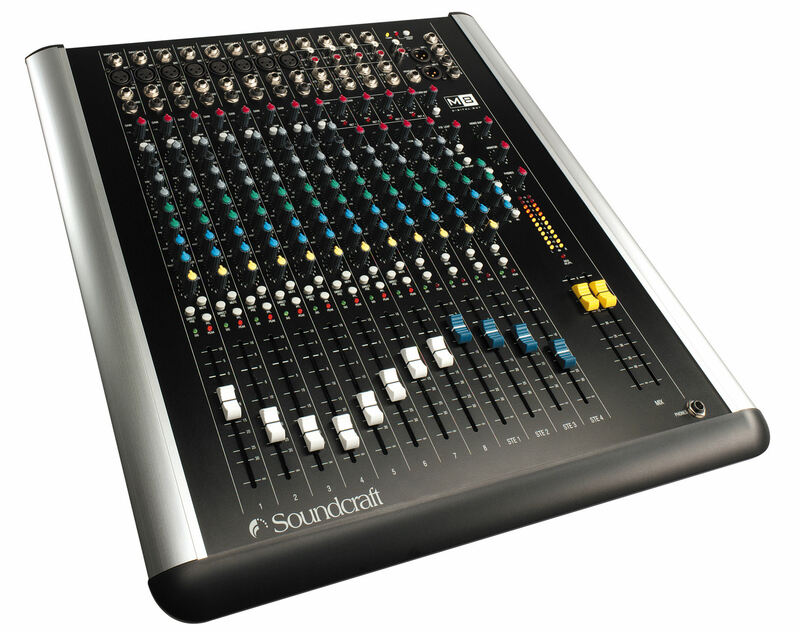 The Soundcraft M Series is also exceptionally easy to use. The control surface will be immediately familiar to anyone who has used a mixer before and will quickly become second nature even to a novice. All inputs, EQ, auxes, panning and level controls are presented clearly, saving you time when creating your mixes and providing you with more time to spend on achieving the best sound. High quality 100mm faders combine with signal and peak LEDs on every channel and high resolution output metering places the operator in total control. You’ll find no unsightly screw heads anywhere on the M Series’ front panel to get in the way of your mixing, while a durable, multi-coat paint finish, ensures that a Soundcraft M Series console always looks as good as it sounds. From raw component level through to cosmetic finishing, the Soundcraft M Series has been built to last. Just pick one up and you’ll know what we mean. Even the knobs are special, custom designed to our own exacting requirements. We’ve ensured there is plenty of spacing between the controls, enabling you to comfortably achieve total control of your mix. Even the headphone jack is located at the bottom right hand corner of the mixer so a trailing cable will never get in your way. 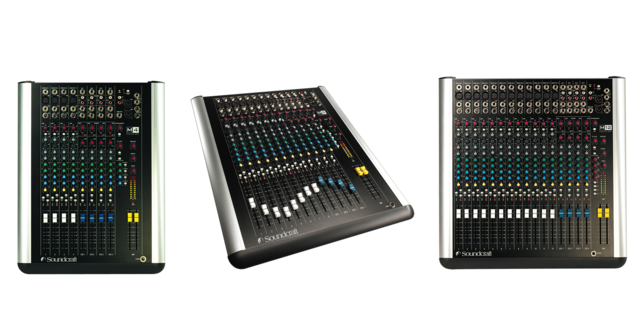 Just another example of the attention to detail which makes the Soundcraft M Series the standard against which other compact mixing consoles must now be judged.